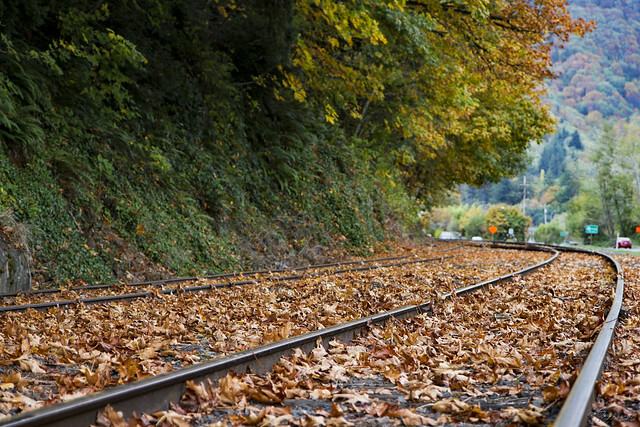 As this vacation comes to a close, I came across this scene that combines two of my favorite subjects: train tracks and fall leaves. The tracks open the imagination to places not yet seen. The leaves remind us of the beauty of aging. "There are far, far better things ahead than any we leave behind." "How beautifully leaves grow old. How full of light and color are their last days."